The Kettle Moraine Railroad Heritage Association Inc. of West Bend, Wisconsin, Home of the Kettle Moraine Ballast Scorchers was founded in 1975. 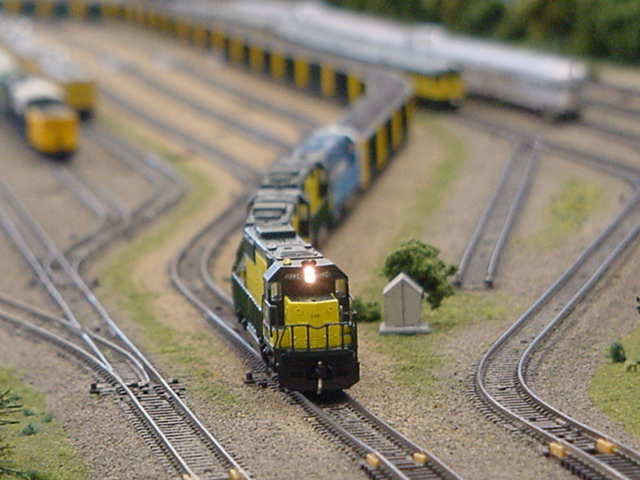 We have both Ntrak and HOtrak modules which travel to many shows. Guests are always welcome to visit us so that we may introduce you to our hobby. We'll use this site to keep you and our members informed about our association, share ideas, and organize events and keep you up to date on activities that we and other associations are doing. Our association has moved into our new location in July of 2016 at 215 N. Main St. in the Zeigler Building downtown West Bend. On this web site, we'll introduce our association and give some examples of the types of activities we're involved in.